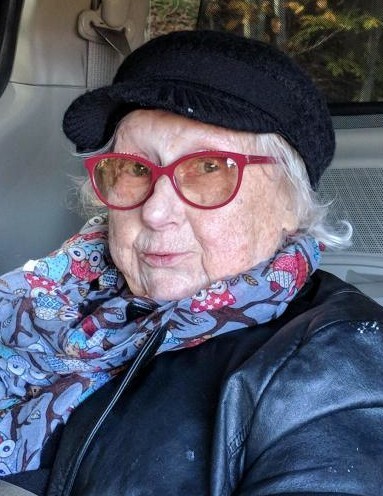 Bernadette “Bernie” Sudol passed away at 86 at her home in Dalton Tuesday, January 22, 2019, with her daughter Elizabeth “Liz” by her side. She was born May 26th, 1932, in a house by a midwife in Bloomfield, NJ to Stanley and Mary (Demski) Lukasik. She grew in Bloomfield and attended local public schools. Bernie married Richard Sudol on April 19, 1952. An only child she wanted a large family of her own and together couple had five children. Bernie’s first job was working on assembly line threading light bulbs for tail lights on cars. She worked from many years and retired from C. E. Lummus Engineering Company doing importing and exporting. While working and raising her family, she found the time to earn a bachelor's degree in Business from Bloomfield College. Bernie was a devout Catholic and a daily communicant whenever possible. She was part of the Catholic women's group and a participant in the many prayer groups that formed over the years. Her faith in God was a huge part of who she was. Bernie was a funny, loving, and caring woman who became a second mother to everyone she loved with her whole heart. Mother of the Great North Woods she would be dubbed. She was everything you needed in a friend. Bernie could be a dreamer but for all the good reasons. Quite the character with her comments or looks. She will be missed and lovingly thought of by all. Bernie is together again with her husband of 63 years, Francis Richard Sudol, who predeceased her on July 30th, 2015. She is survived by five children Michele Guttenberger, Janice Torino, Mark Sudol, Cathy Drury, and Elizabeth Sudol. She also leaves behind her four grandchildren: Jennifer Drury, Megan Drury, Nestor Roman II, and Daniel Sudol. Bernie will be waked at St. Matthew's Catholic Church, Jefferson Rd. Whitefield, NH on Friday, January 25, 2019, from 11-11:45, where Fr. Matthew Schultz will celebrate a Mass of Christian Burial at Noon. She will be interred next to Richard at St. Matthew's Cemetery on Friday, May 24, 2019, at 2:30. There's still time to send flowers to the Committal at the St. Matthews Cemetery at 2:30 PM on May 24, 2019.